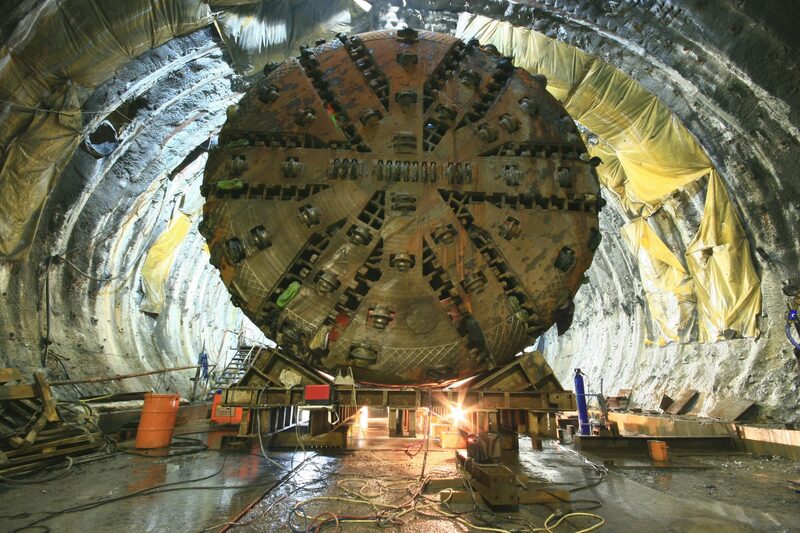 A stock photo of a tunnel boring machine. Photo: PixHouse. The mammoth “moving factories” that will burrow the twin 9km tunnels of Melbourne’s Metro Tunnel project have been ordered. The 100m-long tunnel boring machines (TBM), which weigh up to 1,000 tonnes, will start to arrive early next year. Including offices, kitchens and bathrooms, the custom-built machines will support crews of up to 14 people who will work around the clock and move around 10m a day under the surface. Upon their arrival, two machines will be transported to Arden and two to Domain, where they will be assembled, lowered into a shaft 20m underground. They will install a total of 55,000 individual concrete segments that are needed to create the two tunnels. According to the Victoria transport ministry, the deepest tunnelling point will be under Swanston Street, at the northern edge of the central business district near the new State Library Station where the TBMs will excavate around 40m below the surface. Each TBM will head away from the city on the first leg of their journey before being retrieved in Kensington and South Yarra. They will then be retrieved, dismantled and trucked back to their starting points to be relaunched towards the city, with tunnelling expected to be complete by 2021. Public transport minister Jacinta Allan, who announced the order on March 23, said: “These machines will operate like giant underground factories as they burrow around 40m beneath Melbourne to build the Metro Tunnel. “They will dig through a variety of ground conditions to link one side of the city to the other and its completion will represent a significant engineering feat. The Metro Tunnel will create a new rail line from Sunbury to Cranbourne/Pakenham and five new underground stations, allowing more frequent trains to run between the city and suburbs.